Pasadena ISD is currently accepting applications for the 2018-2019 school year. Interested students must complete the online application using the link below. 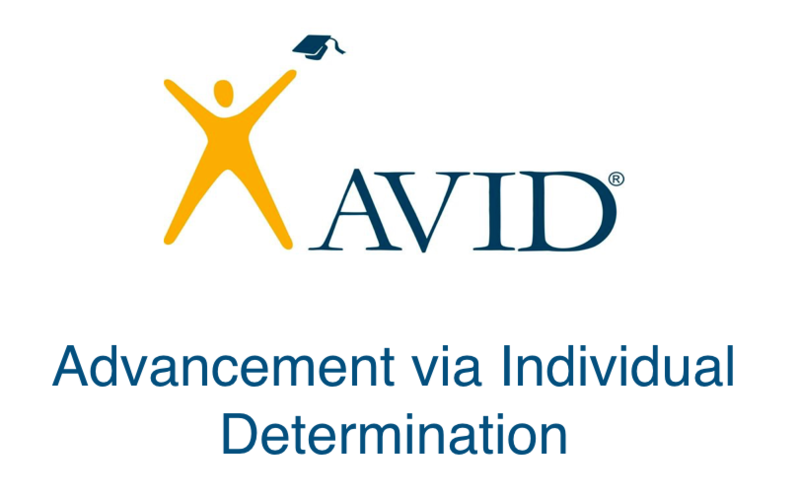 Final acceptance into the AVID program will be determined upon completion of an interview. AVID Elementary teaches students fundamental learning, study and academic behavioral skills. It is a foundational component of the AVID system designed to be embedded into the daily instruction of all elementary classrooms, including combined K-8 schools. AVID’s strategies and philosophy of educational opportunities for all students are threaded throughout the instructional day, across grade levels, and ultimately across sites. AVID Secondary develops learning, study and academic behavioral skills that are essential to success in rigorous coursework. It acts as a catalyst for schools to develop a culture of college readiness for all students across the campus. In the AVID Elective class, students receive daily instruction and support to prepare them for college from a trained AVID Elective teacher. AVID impacts students schoolwide as academic strategies like writing to learn, inquiry, collaboration, organizational skills, and critical reading (WICOR) are taught in all classes by teachers who have been trained to use AVID strategies in their specific content areas. AVIS students from South Houston Intermediate attended the Houston Dynamo Student Leadership Conference. The students heard the key note speakers representing the Dynamo front office executives and staff. They then attended breakout sessions focused on specific relevant topics for high school programs. After the conference, they attended teh US Open Cup Championship.